"According to me, statements of four judges (J Kulkarni, J Barde, J Modak and J R R Rathi) are unimpeachable that the death of Judge Loya was natural and unfortunate. The judges were with (Justice) Loya since November 29 to December 1, 2014. The statements were signed by the judges. Are not they trustworthy?" senior advocate Mukul Rohatgi, appearing for Maharashtra, told a bench headed by Chief Justice Dipak Misra. New Delhi: The Maharashtra government today told the Supreme Court the statements of four judges, who were with special CBI judge B H Loya on the last day of his life, and had termed his death as "natural", were "unimpeachable". 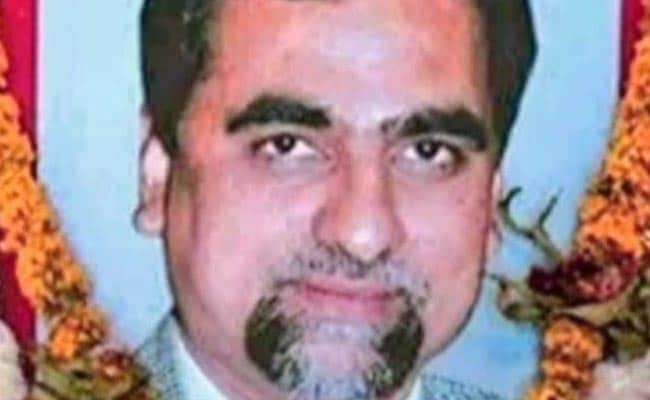 Judge Loya, who was hearing the high-profile Sohrabuddin Sheikh fake encounter case, had died allegedly of cardiac arrest in Nagpur on December 1, 2014 when he had gone to attend the wedding of a colleague's daughter. "According to me, statements of four judges (J Kulkarni, J Barde, J Modak and J R R Rathi) are unimpeachable that the death of Judge Loya was natural and unfortunate. The judges were with (Justice) Loya since November 29 to December 1, 2014. The statements were signed by the judges. Are not they trustworthy?" senior advocate Mukul Rohatgi, appearing for Maharashtra, told a bench headed by Chief Justice Dipak Misra. "If you (the court) want to reject the statements of the judges who said that Loya's death was natural, then it has to be prima facie accepted that they were co-conspirators...," he told the bench, also comprising Justices A M Khanwilkar and D Y Chandrachud. Referring to judgements on public interest litigations (PILs), he said the top court amended its rules and laid down guidelines as to who can file PILs to ensure that motivated petitions are discouraged and not entertained. 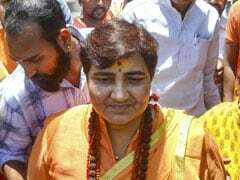 Alleging that petitioners were "creating castle in the air," Mr Rohatgi said the PILs cannot be based on unconfirmed and "hearsay" media reports solely, and the courts should verify the credentials of such petitioners. Referring to contents of petitions, including those filed by Congress leader Tehseen Poonawala and journalist B S Lone, Mr Rohatgi said they had only relied upon unconfirmed news reports, published November last year onwards, and filed PILs without any further detail and they "are now arguing as if these are murder appeals". "Nobody, including PIL petitioners, did anything for last three years and now they have come out of slumber. They are saying that they want to protect the judiciary. However, they are standing for scandalising the judiciary," Mr Rohatgi said. "All the petitioners did not do anything on their own. This is just 'cut-and-paste' job. There was nothing amiss. The state is fully satisfied. It would be appropriate to bring the curtains down," he said. Attributing motive on the petitioners, Mr Rohatgi said press conferences are being held because the judge concerned was hearing a criminal matter in which a political figure was then accused. "None of them (petitioners) had the courage to read the statements of judges who were with the judge (Loya) like shadow and are the eyewitness of the events," he said, seeking the case to be closed, unless "the court holds the judges co- conspirators". The judges had given the statements after Police Commissioner (Intelligence) sought permission from the High Court Chief Justice, he said. Some High Court judges, including the then chief justice, had also reached the hospital, he said. About the petition of the Bombay Lawyers Association seeking an independent probe in Loya's death, he said that the list of its members, bye laws and registration number were not attached. "These things are not required in a PIL," senior advocate Dushyant Dave, appearing for the bar body, said. "You have argued Mr Dave. Let me argue... I am not here to have a conversation with you (Dave)," Mr Rohatgi said, adding that the judge had died in their state (Maharashtra). If they had so much information, why no petition was filed in the last three years. On the statement of one of the four judges Rathi that ECG was not done on Judge Loya, Rohatgi said judges are laymen so far as medical issues are concerned and reiterated that the ECG was done on the judge at Dande hospital on December 1. As the Judge was declared "dead on arrival", the doctors at Meditrina Hospital referred the body for post mortem and there was nothing amiss, he said. Mr Dave informed the bench that his application, seeking examination of 11 people, including two judges and four family members of Loya, has not been accepted by the apex court registry. Mr Rohatgi would resume arguments on February 16. Earlier, the state government had opposed the pleas for an independent probe into Judge Loya's death, terming them as "motivated" and based on "yellow journalism". Senior adovate Indira Jaising, appearing for an intervenor, had referred to sequence of events to highlight her submission that a probe was needed to rule out any foul play and alleged a trial court judge in the Sohrabuddin case was transferred in a "tearing hurry". 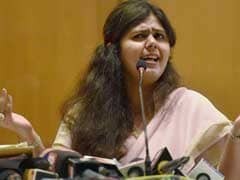 The bench is hearing pleas including those filed by Congress leader Tehseen Poonawala and Maharashtra-based B S Lone seeking an independent probe into Judge Loya's death in 2014. Current BJP president Amit Shah was an accused in the Soharabuddin Shaikh case, but was later discharged.